A new interior design book arrived on my desk this week and it's an absolute beauty! 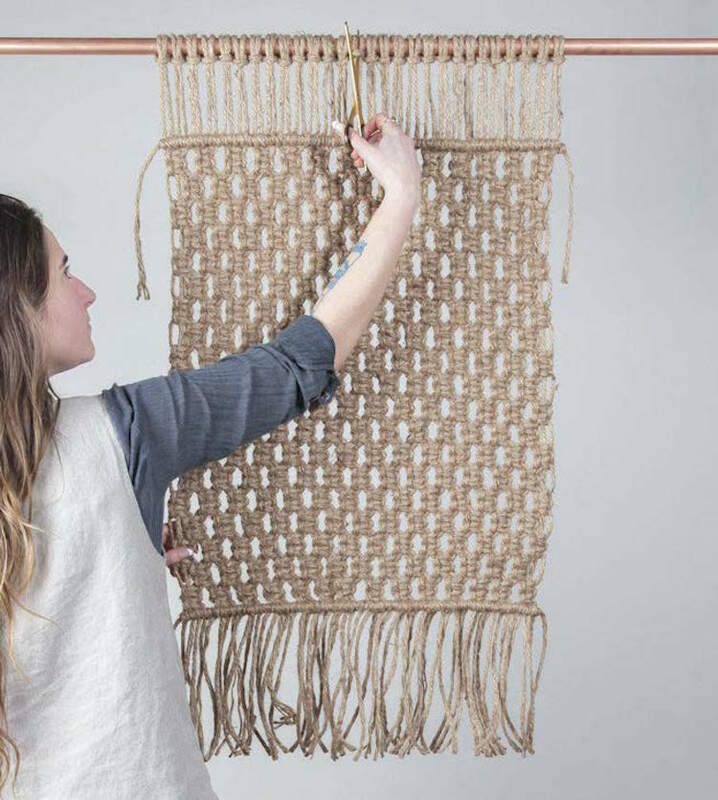 If you love the fine art of knotting and swoon-worthy boho interiors, you'll love Modern Macramé: 33 stylish projects for your handmade home* by Emily Katz. 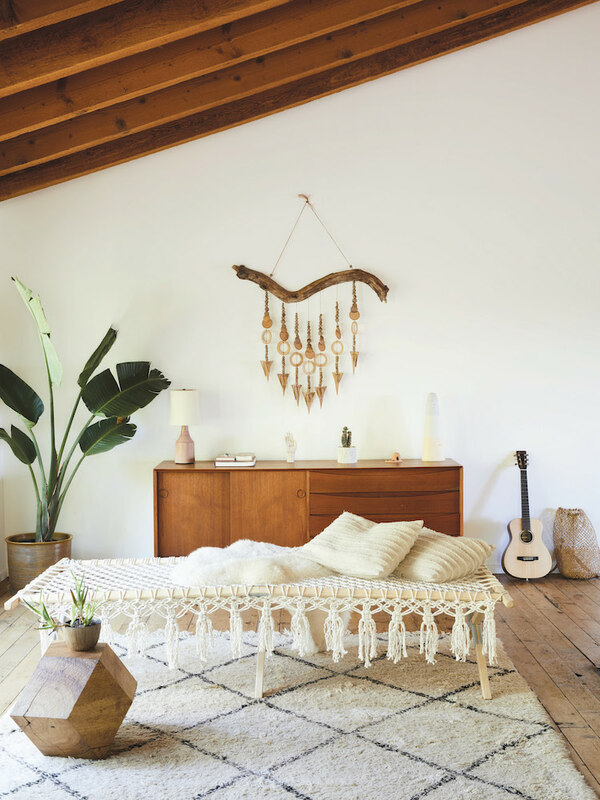 Not only does the tome include page after page of inspiring living spaces, it also offers a contemporary guide to the traditional art and craft of macramé. 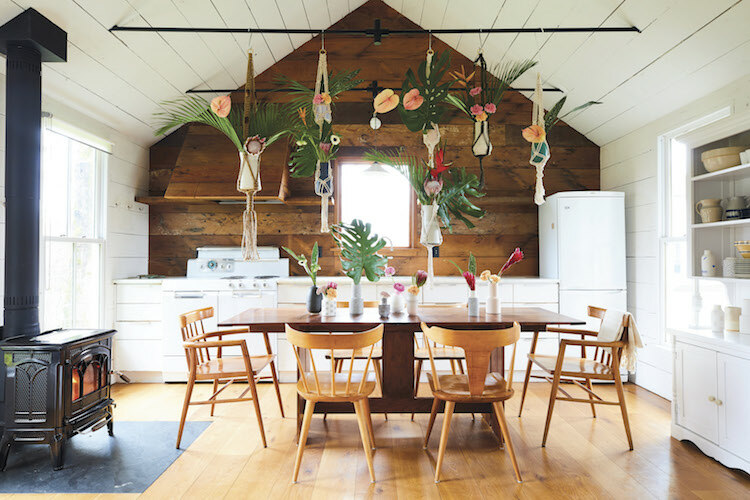 From wall hangings and plant hangers to lampshades, swings and even a tent (who knew?! ), the book includes 33 achievable projects as well as ideas on how to incorporate the custom hand knotted pieces into your home. 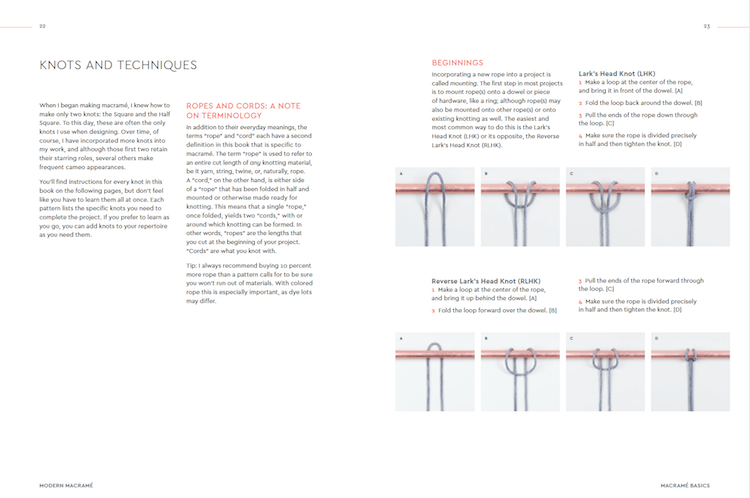 Time to get knotting! 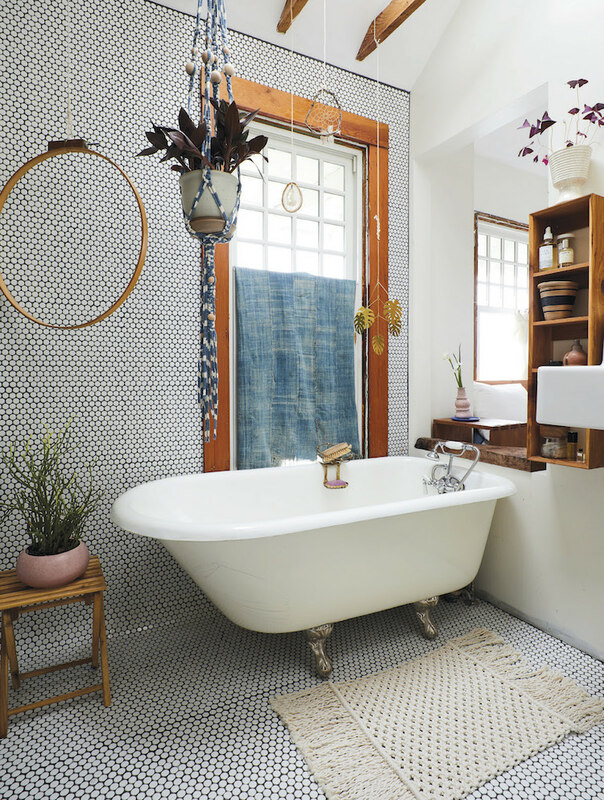 Just looking at these pictures alone, which include a wall hanging, plant hangers, a day bed and bath mat makes me feel there's no end to what you can achieve with a little rope! Feeling inspired?! Pick up a copy of the book here*! In case you're on the look out for more interior design books for your wall of books or coffee table, there are a ton more to choose from in this archive. If you have any great book recommendations (interior design or simply great summer reads) I'd love to hear about them in the comment section below! PS Did you recognise the home of Malia Grace Mau in the third picture down? I featured their beautiful Topanga Canyon home a few months back. 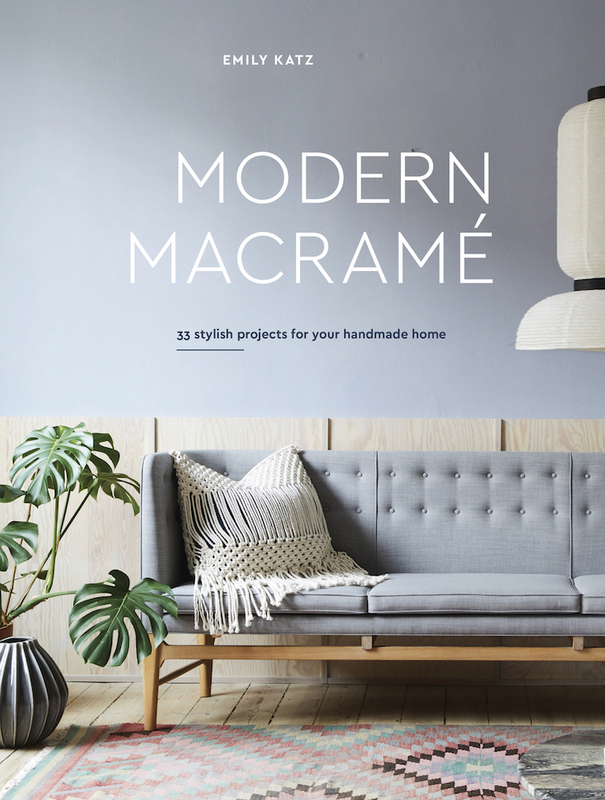 Featured with kind permission from Modern Macramé: 33 stylish projects for your handmade home* by Emily Katz, copyright © 2018. Published by ten speed press, a division of penguin random house, inc. text and tutorial photographs © 2018 by Emily Katz; interior design photographs © 2018 by Nicole Franzen. Looks like a clever book!